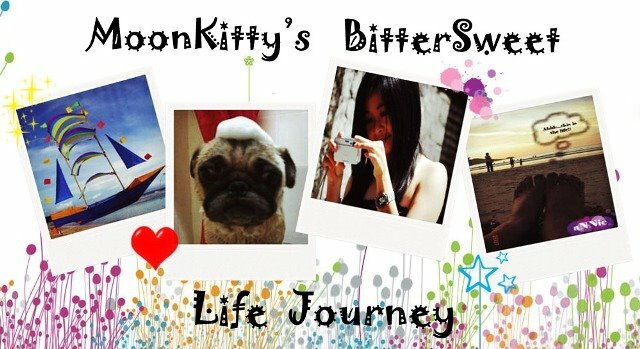 MooNkitty's BitterSweet Life Journey: I can cook authentic Sarawak Laksa too!! One day when I’m suddenly craving for Sarawak Laksa.....so it's time to cook some. Actually it’s very simple to cook Sarawak Laksa. The secret is in the soup. In the old days, if you wanted to cook Sarawak Laksa, first you had to grind herbs and spices then cook over a slow fire, stirring constantly which time consuming and tiring. Now no more with ready made Sarawak Laksa Paste. BTW, I'm using "Cap Burung Helang" brand which I bought from Sarawak. Not sure whether it selling here. medium to high heat for at least 30 minutes. then filter it to remove the spice from the stock. Now the soup is ready! Now let's prepare the ingredients. cook the pre-soaked bee hoon in boiling water. For decoration I prepare an antique bowl. To serve, place cooked bee hoon on a bowl. single eyelid boy... why emmm emmmmm emmmm??? you used 300g of laksa paste, so for how many people was it?